During his first rehearsal at Eurovision 2018, Iceland’s Ari Ólafsson served major face. The performance opens with dreamy close-up shots — he sings straight into the camera showing off those baby blues and really connects with viewers. He’s kept it simple in the sartorial stakes, slipping into a red shirt with high neckline and a shiny white suit. The shoulders feature red geometric detailing, which to our inexperienced eyes seem to channel something tribal or indigenous. Some of you have compared it to the lines on a subway map. Ari shares the stage with five backing vocalists, who lacked cohesion with their clothing. Only one — the song writer — seemed to match Ari. Iceland has really gone back to basics with this performance, and it would have fit right in with Johnny Logan at Eurovision 1987. Fans of fireworks will likely find this too simplistic. But surely it will find fans among those who appreciate simplicity and strong vocals. Great voice! The staging not the best. The outfit not my thing. He won’t qualify. Sounds like an Irish entry. The only thing though is that Ireland hasn’t been successful with this kind of entry in the past 20 years. I like it! After struggling with sleep problems for quite a while, I finally found the song performance that will solve all of my sleeping issues!!! The staging and the costumes made it feel even more dated. Oh, Icelandic producers, why do you keep doing this to poor Ari? I agree that the suit aged him a lot. His vocals are good, he’s doing what he can to save their entry. I kinda like this outfit. He’s just the kind of guy that looks good in a suit (so I guess that this is why he used to work in a bank). Sadly the staging looks dated and boring. This reminds me the 80s. Thumbs up for Ari giving his all. I am talking about the icelandic staging, not the arena. I really doubt I will get used to it just from listening to it once again. No, this does nothig with the song. Sorry, this is one of the few sure non-qualifiers. That spot in the running order is just the last nail in the coffin. Finally some truly great vocals in Eurovision!! I really like his dress too!!! Maybe he will finish like Austria 2017. 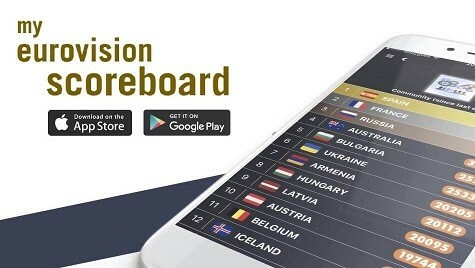 Azerbaijan 2018 look like Serbia 2017, and Iceland 2018 maybe be Austria 2017 , go to final thanks to juries. Actually the whole package is basic. Poor Iceland! Every Nordic country has taken a step forward except them. Please bring back Icelandic troll queen Silvia Night . This is an intervention. This was very boring. Him standing with the backing vocalists looked strange and nothing really happened (from what I saw) This is a sure NQ, and Im sorry for Ari because he delivered vocally. Well, atleast Iceland is letting the song do the talking. Something perhaps other countries could learn from. Sadly, I think Iceland is DoA this year but kuddos to Ari for being true to himself and giving it his all, despite all the negativity thrown at him and his song. I hope atleast that he enjoys this Eurovision experience for what it is.